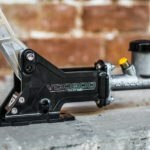 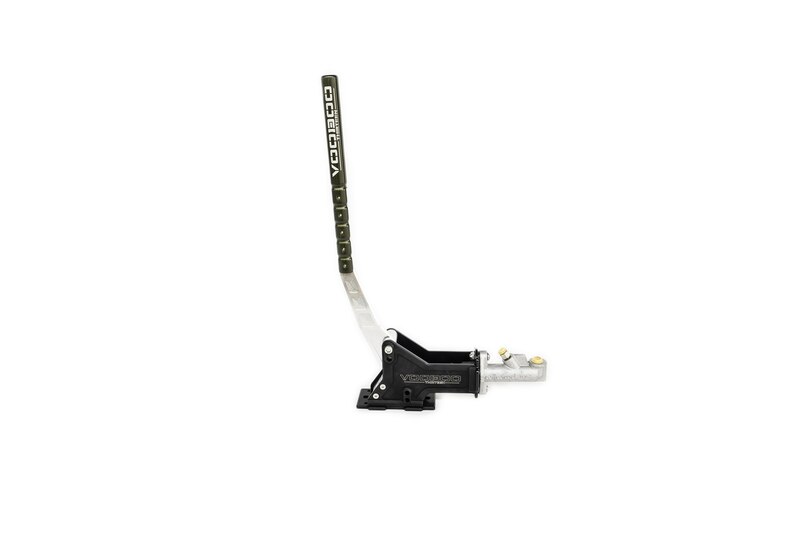 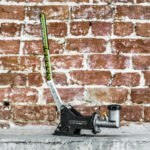 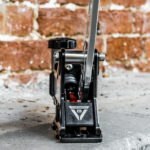 In keeping with our brands reputation for quality American manufactured products, we introduce our new adjustable hydraulic handbrake. 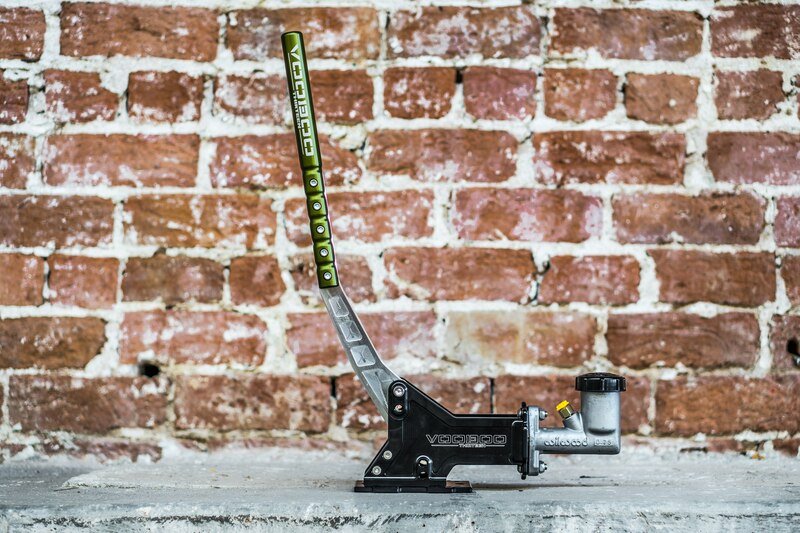 We debuted our handbrake at the 2016 SEMA Show and after additional testing and feedback from customers and pro drivers, we are confident that we have designed the best handbrake on the market today. 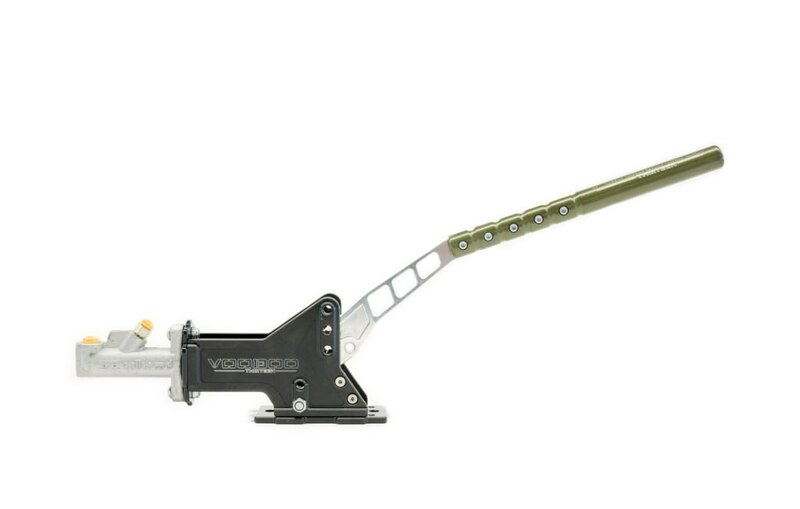 What makes our hand brake the absolute best on the market is the amount of adjustable configurations that can be made to fit any driving style. 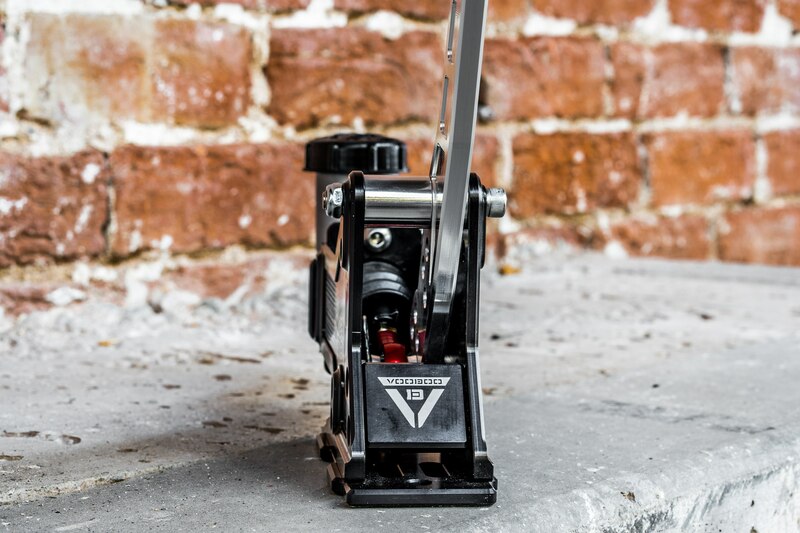 You can adjust the amount of brake pressure, handle length, throw distance and handle orientation. 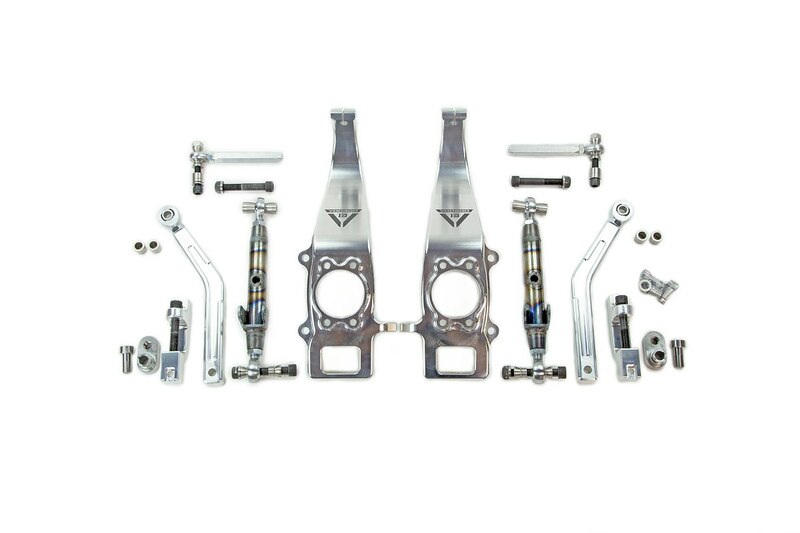 High quality USA sourced 6061 aluminum is used to construct this masterpiece and ensures weight is kept to a minimum yet maintains incredible strength. 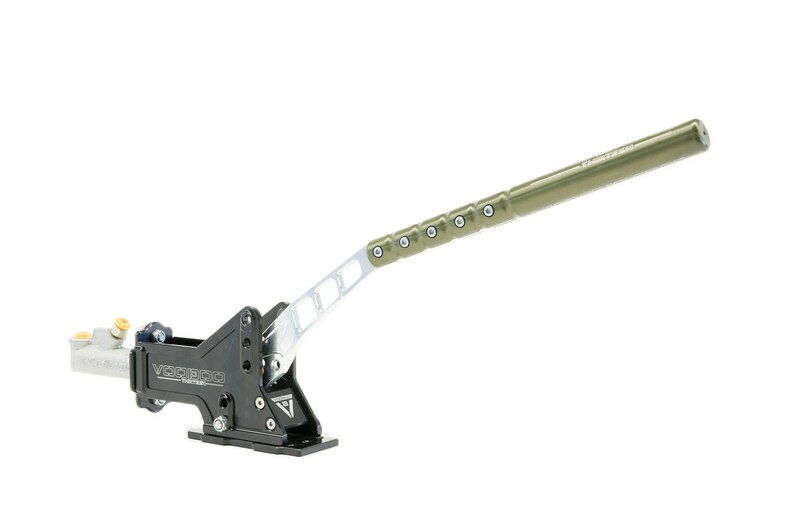 The base, side plates and handle are CNC machined, anodized and then put back into the CNC machine for logo engraving. 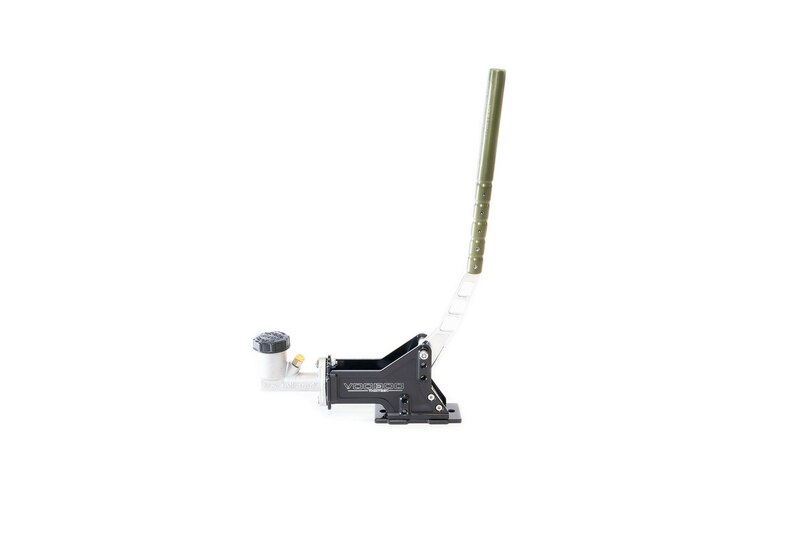 This is not your run of the mill basic handbrake, we spend many hours on programming, set up and machine time to provide our customers with only the very best product possible. 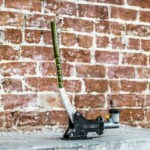 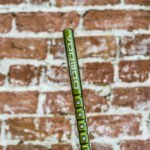 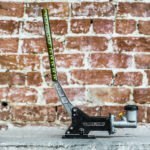 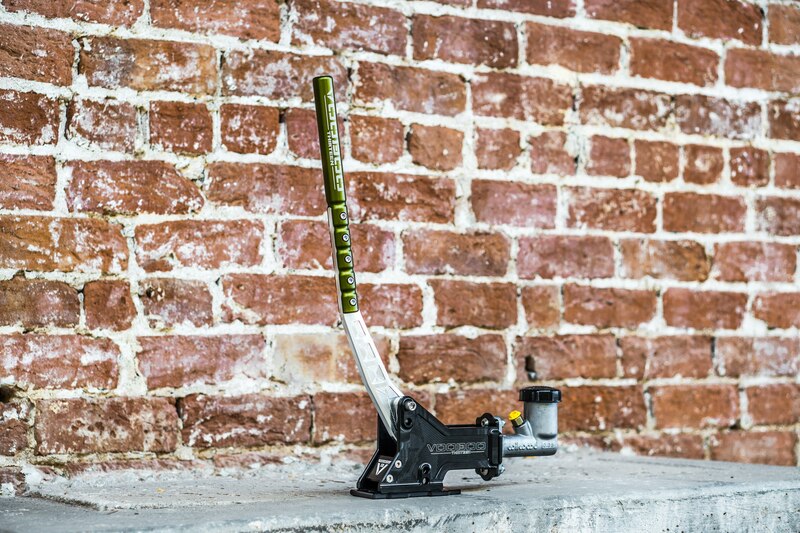 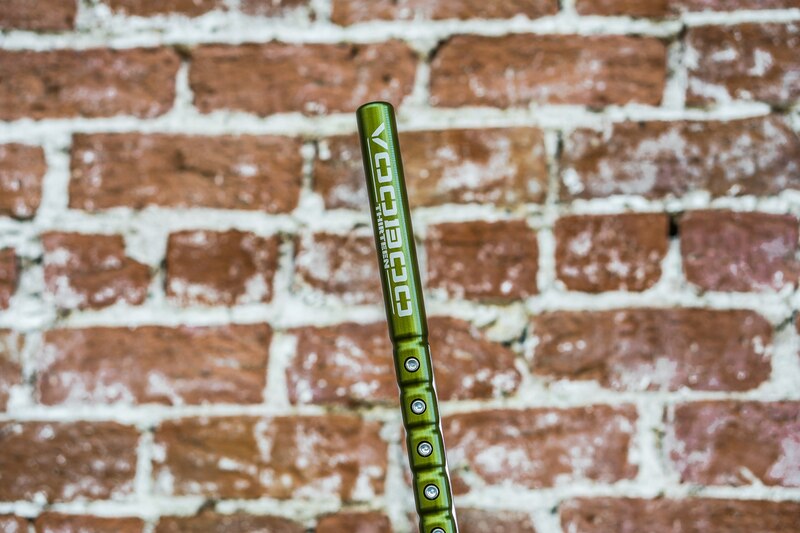 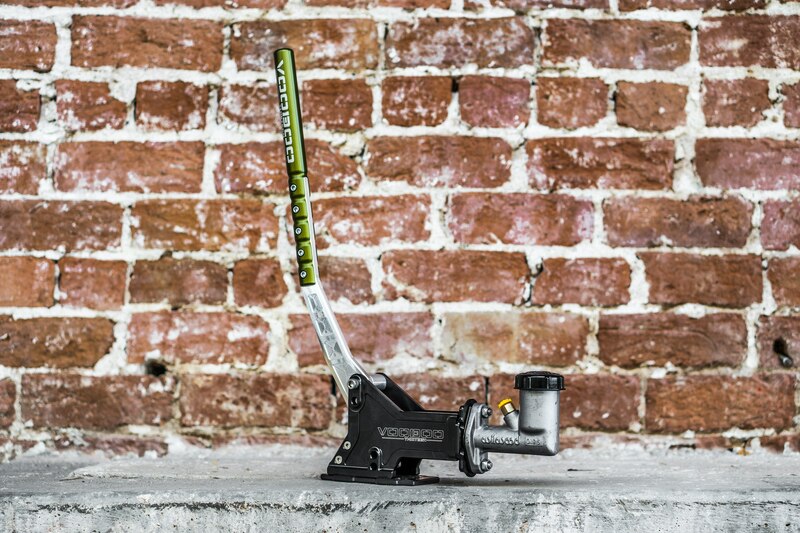 After consulting with the 2016 Formula Drift champion Chris Forsberg along with other top tier drivers we’ve concluded that a round handle is the most ergonomic and preferred design choice, plus we’ve even added 3″ of height adjustment. 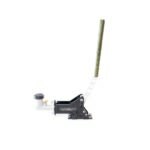 Handle height can easily be adjusted by removing the allen screws, repositioning to desired height and reinstalling the allen screws. 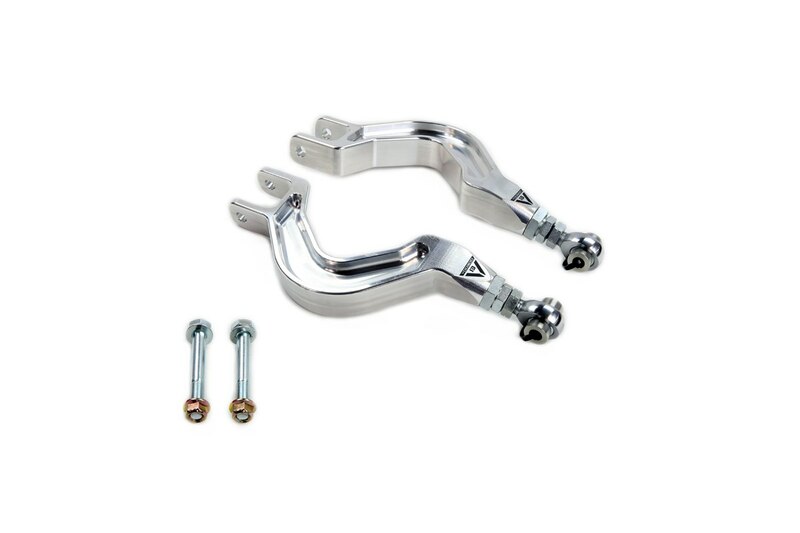 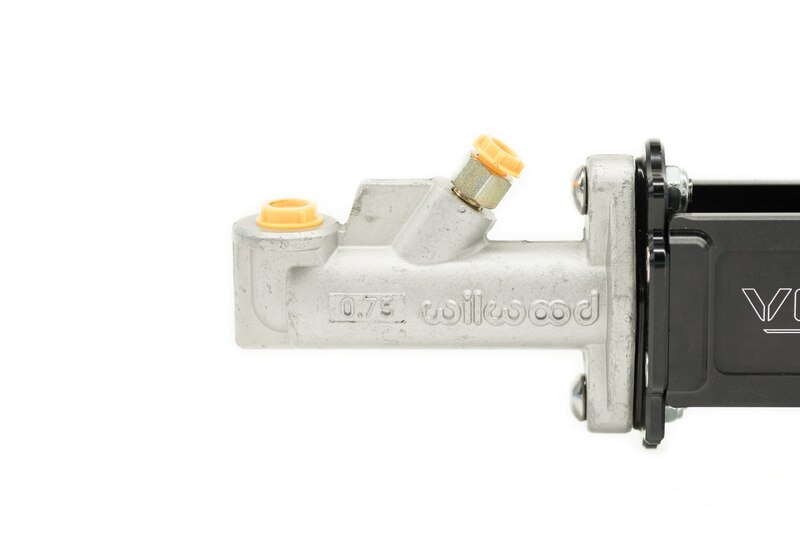 Wilwood is known as being one of the best in the braking industry so it was a simple decision to use their master cylinders as standard issue with our handbrakes. 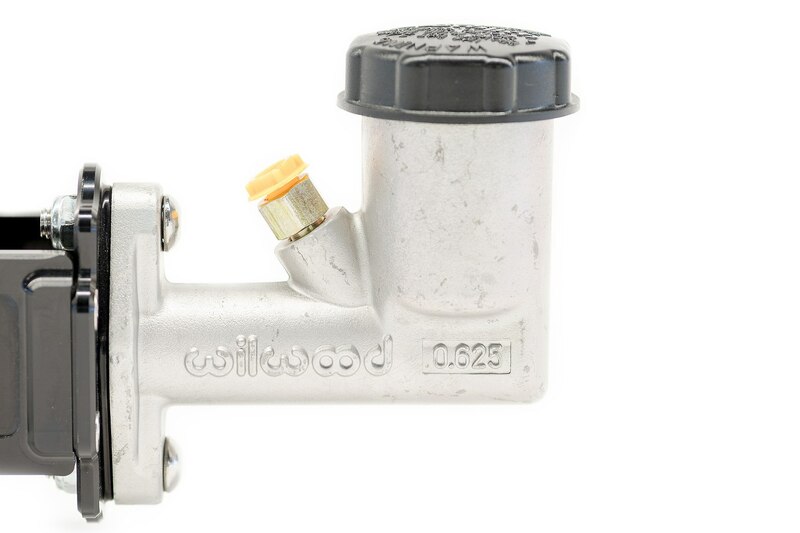 Pictured below is the reservoir option which is recommended if you’re running dual rear calipers. 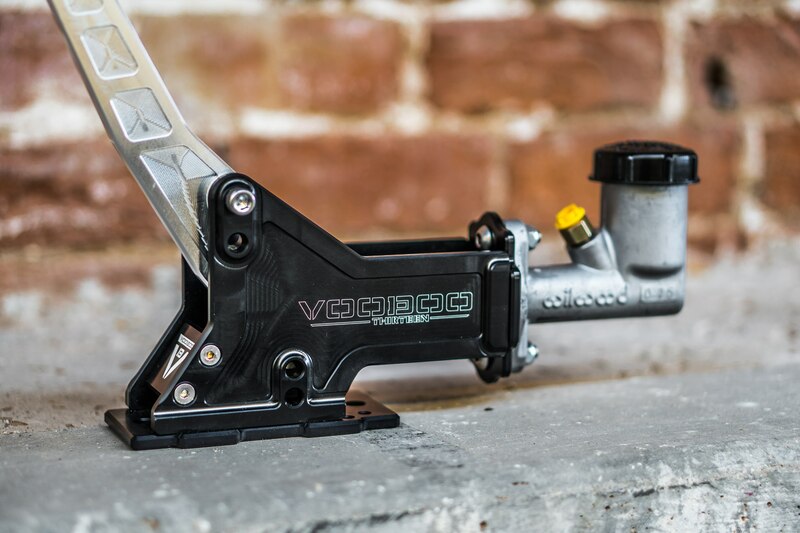 To determine which bore size to select, most vehicles will use the 5/8″ size and vehicles equipped with either optional larger OEM brakes (multi piston) or an aftermarket big brake kit will want to select the 3/4″ bore. We also offer a pass thru version without reservoir for those running one caliper per wheel. 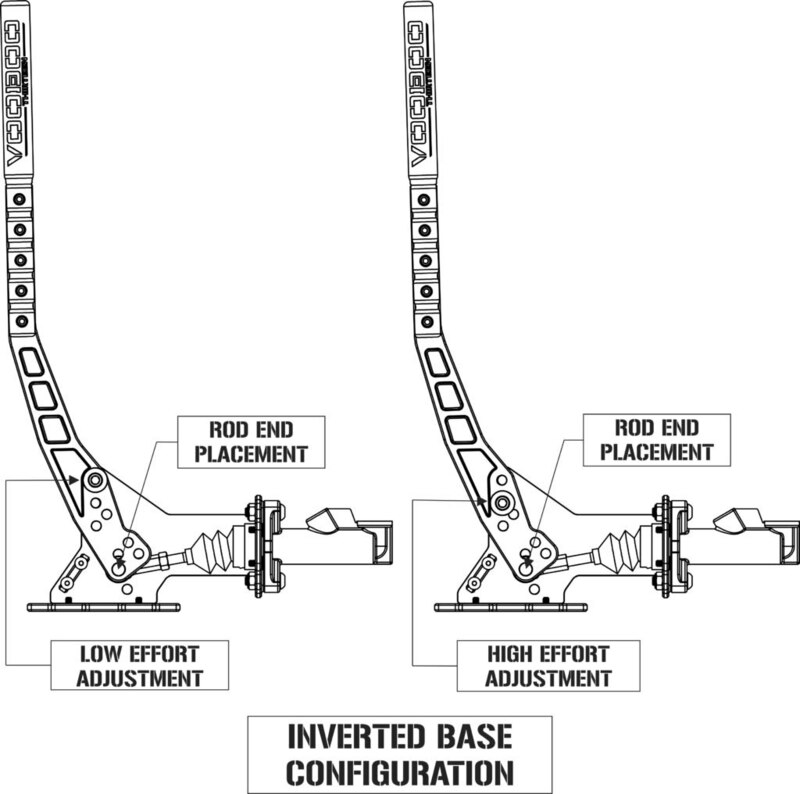 Shown below in horizontal configuration. 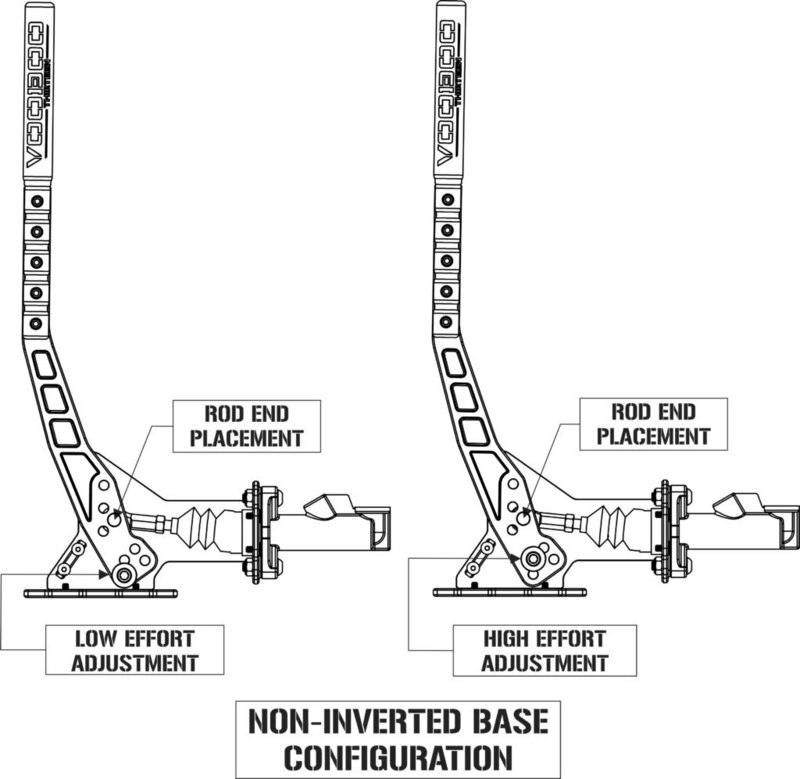 Non-inverted base configuration options shown below. Inverted base configuration options shown below.